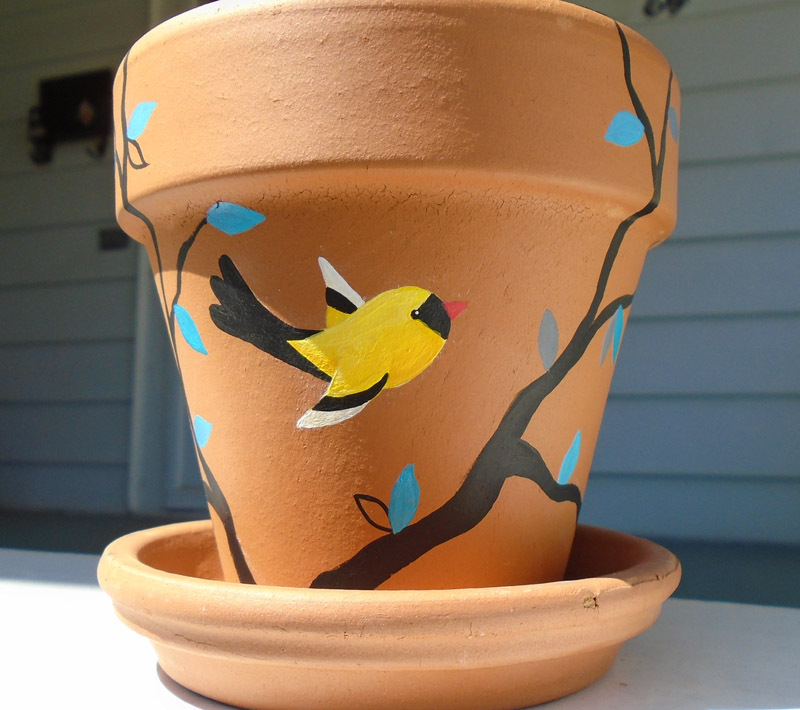 This project was fun because I had so much freedom with it. 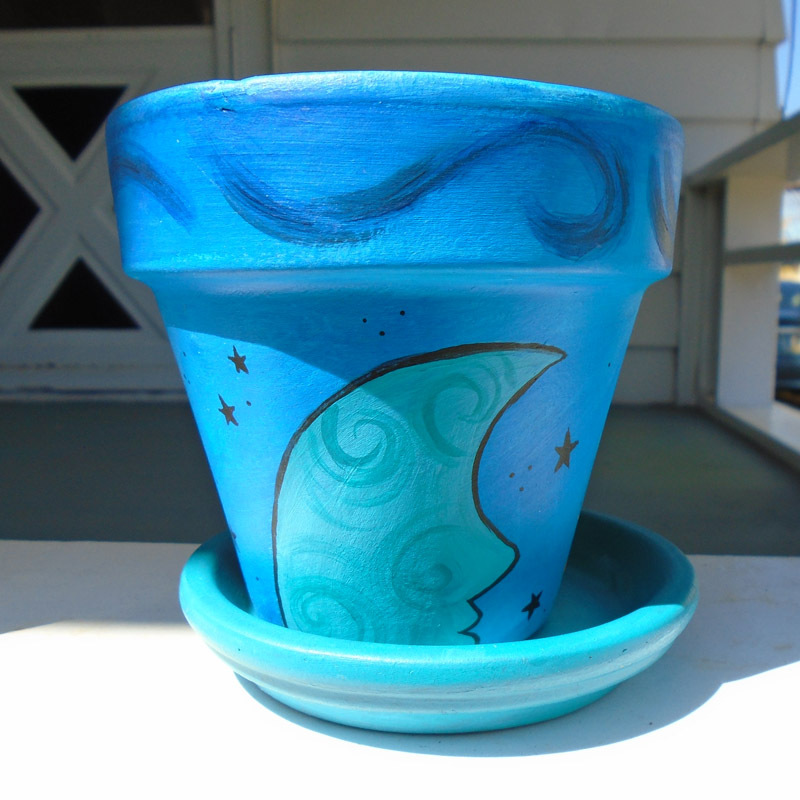 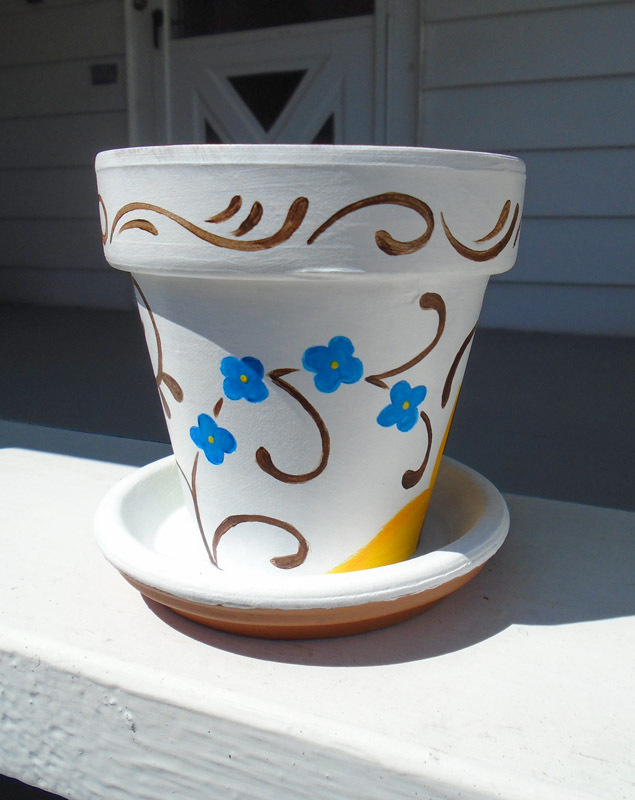 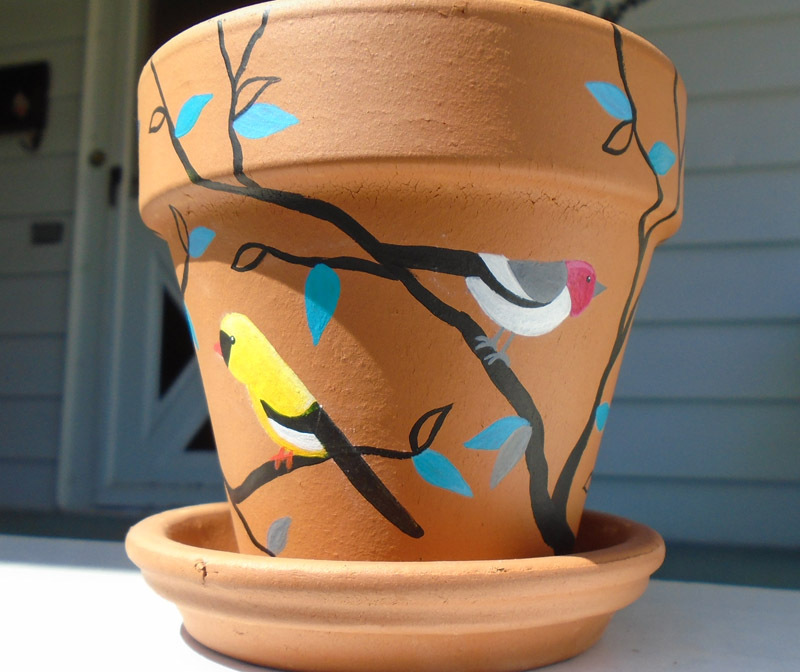 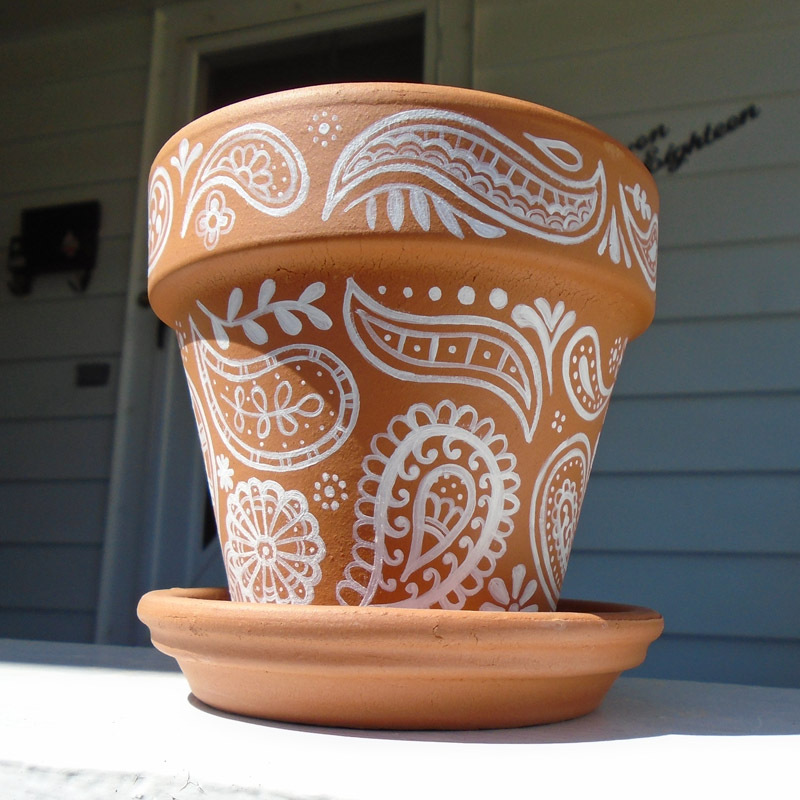 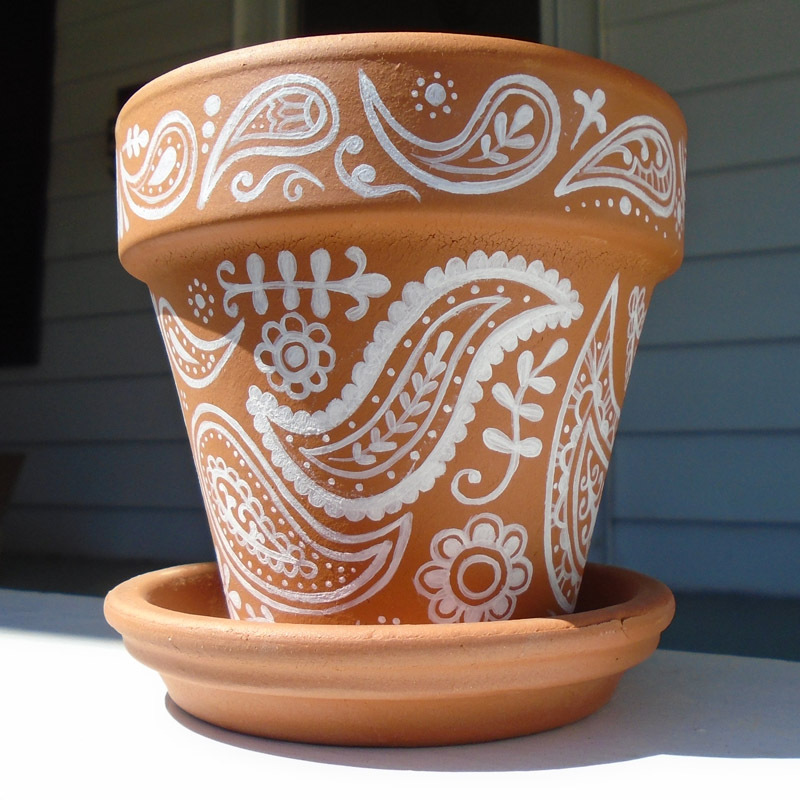 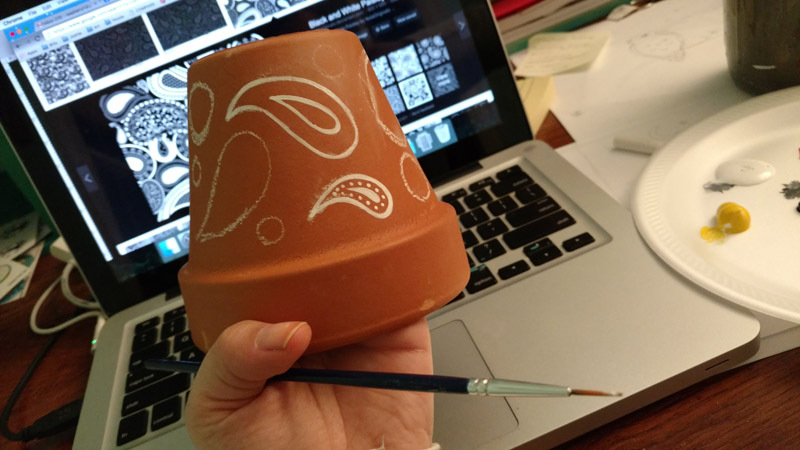 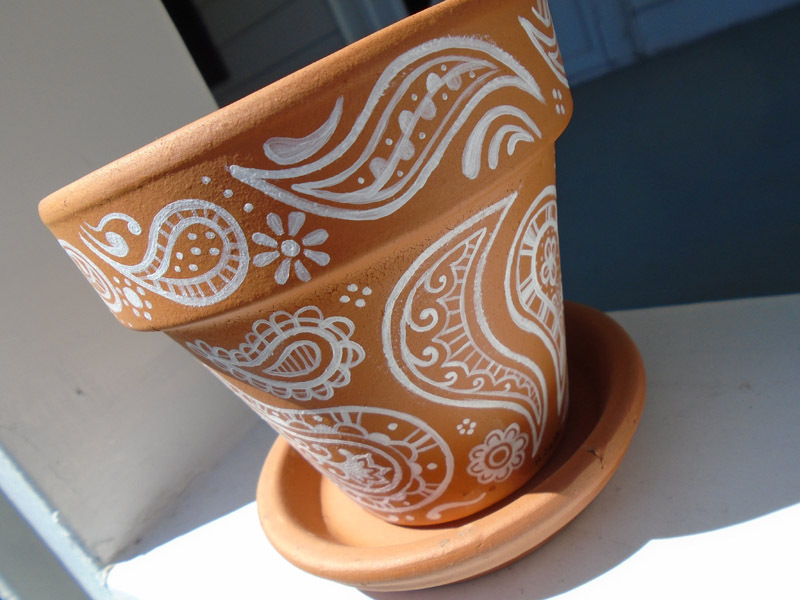 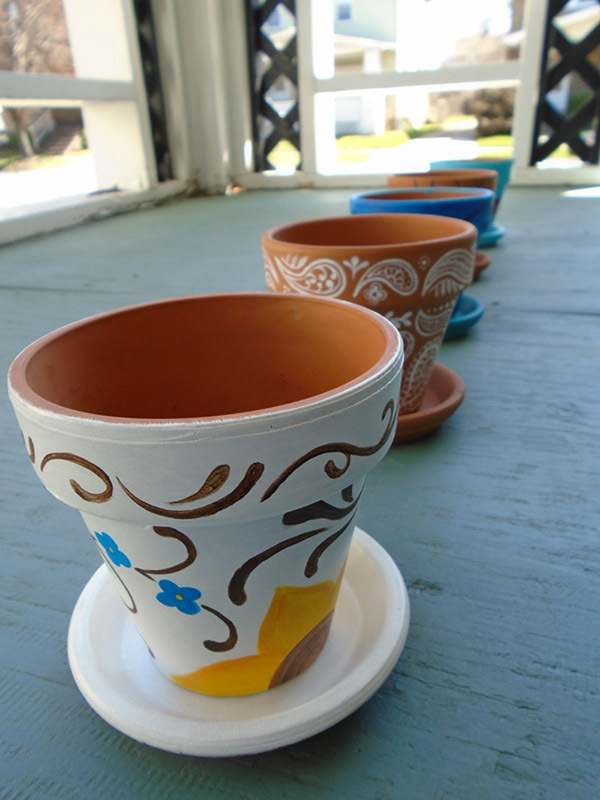 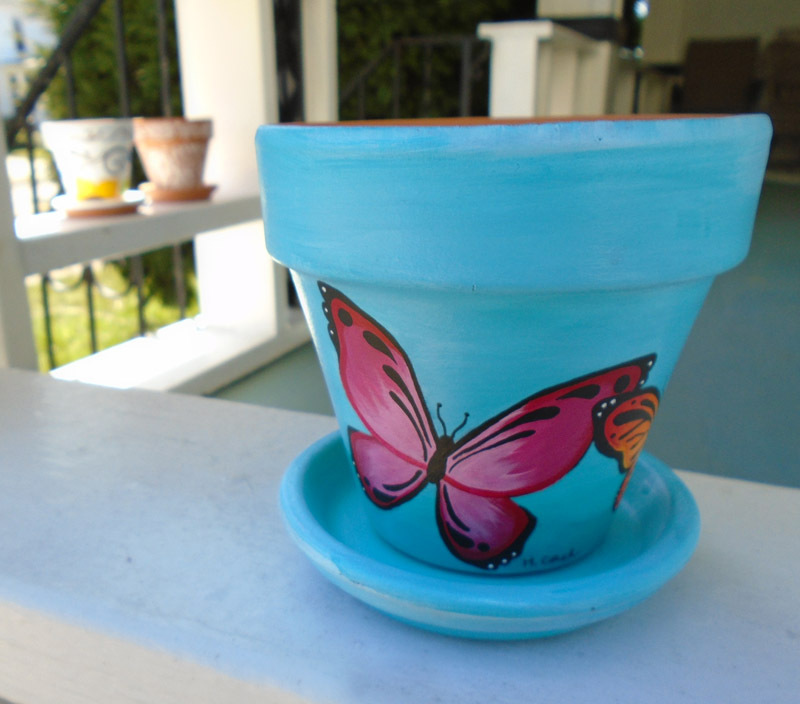 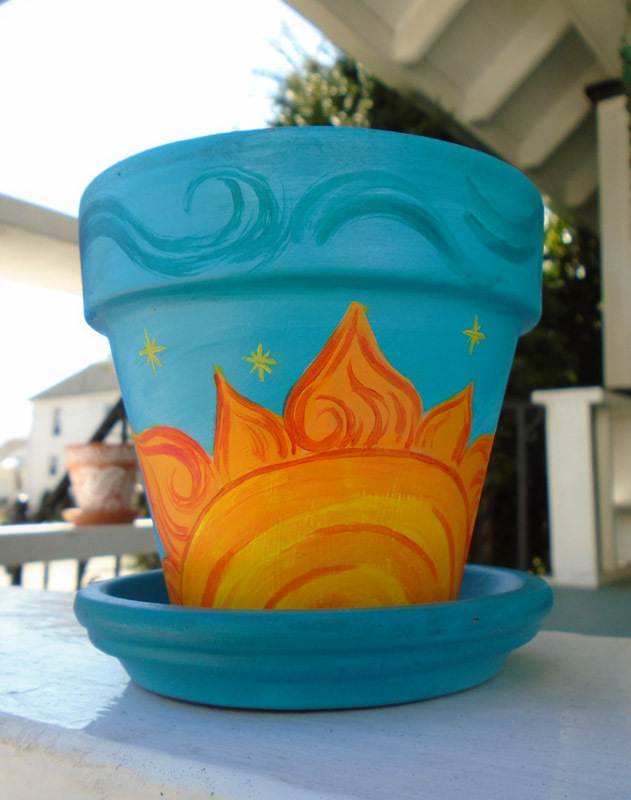 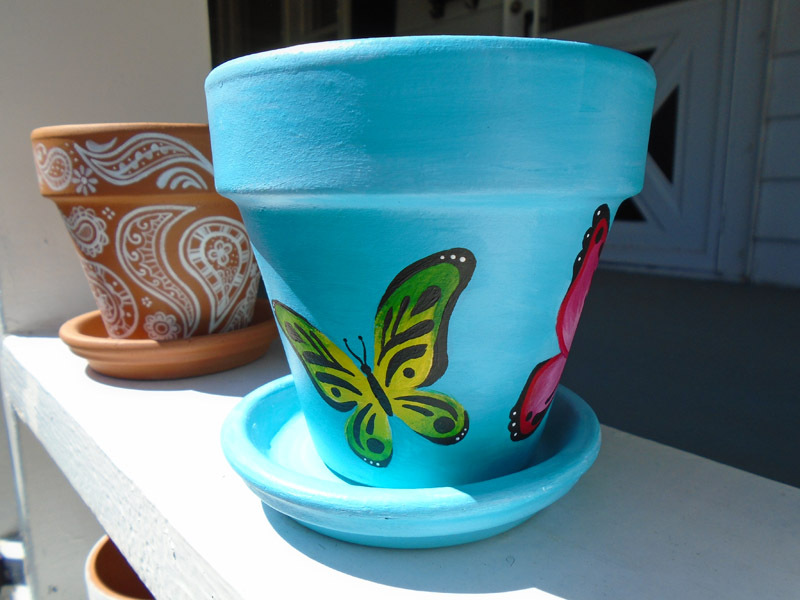 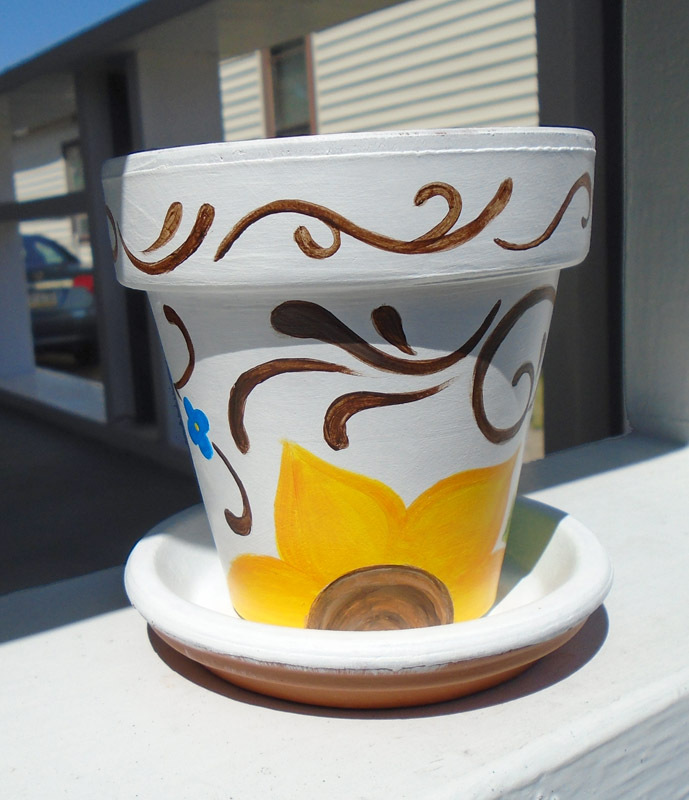 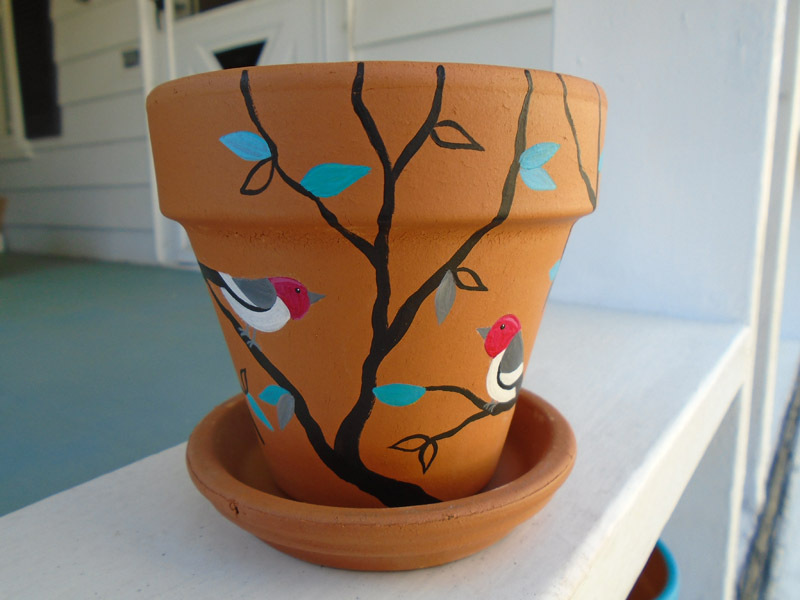 The bride-to-be asked me to hand-paint 5 flower pots in different designs of my choosing. 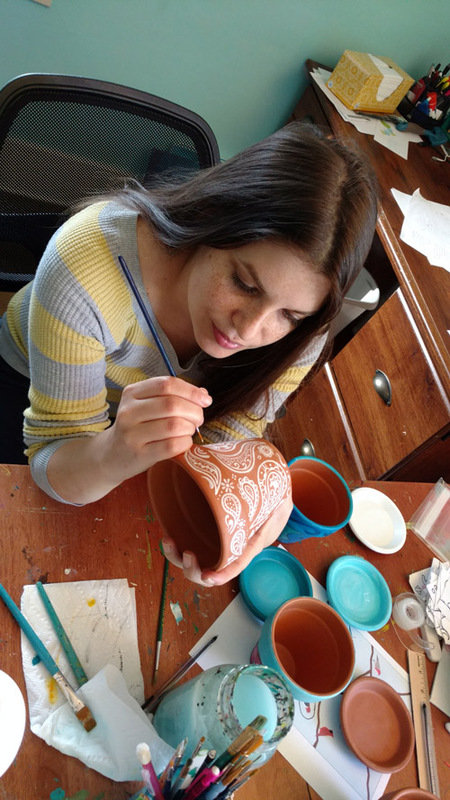 She had no preferences, except that they should each be very different from the others. 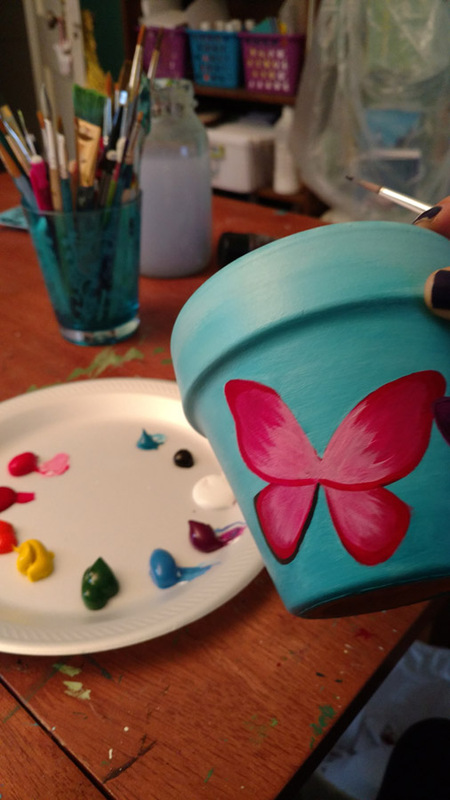 She planted flowers in each pot, and used them as centerpieces for tables at the wedding shower, and later as door prizes for her guests. 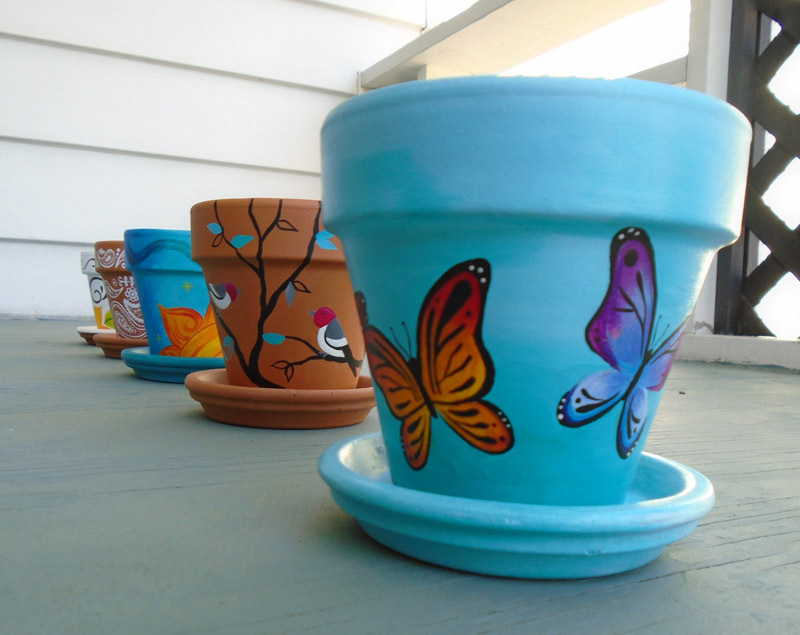 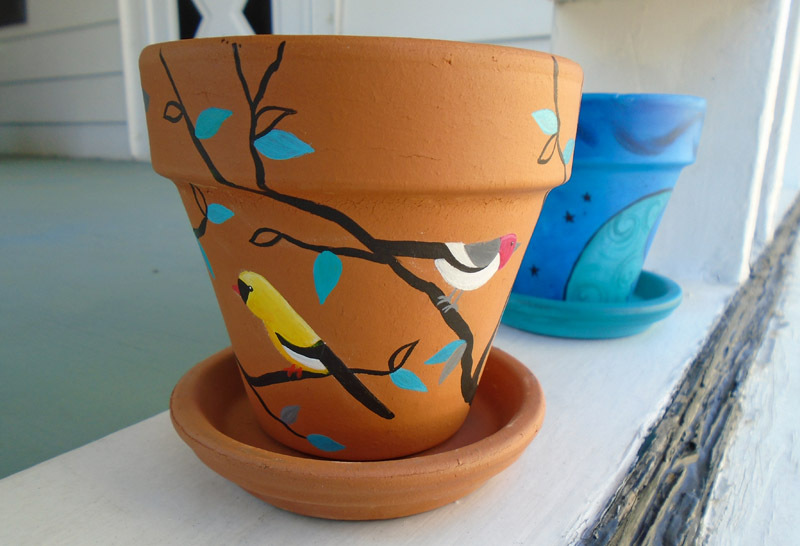 I painted the pots with acrylic paint, and then sealed them with acrylic spray sealant. 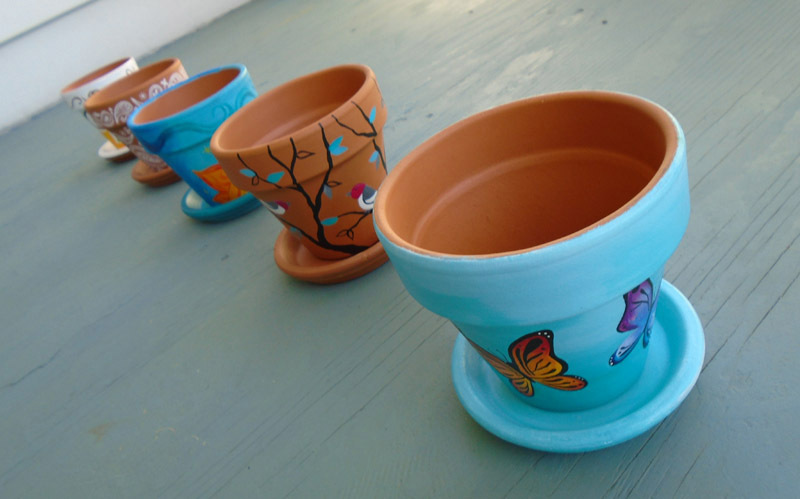 It took me about 4-5 hours to paint each pot.